You guys ask for it, and here is it! I know lots of you guys are asking me what product is great to treat your acne scars. 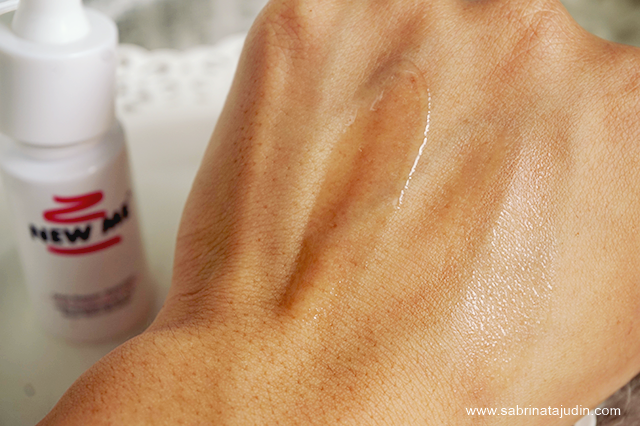 Recently I discover this product that effectively helps to treat your acne scars. It is the New Me™ MicroAlgae Essence. Made from France and now available locally here! So I am going to talk about this product today and why you should give it a try. 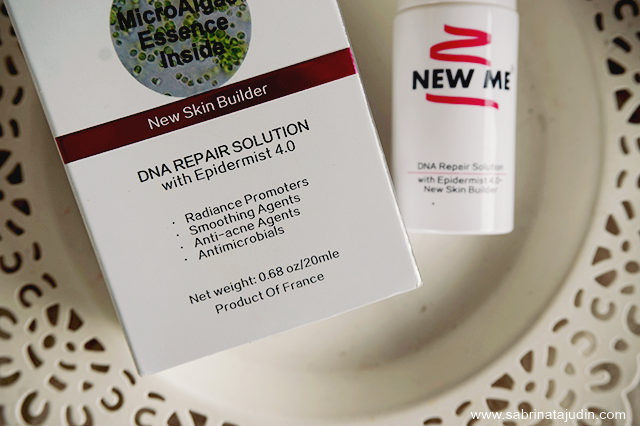 The New Me™ MicroAlgae Essence with France Epidermist 4.0 ® can help provide skin with an overall treatment for your skin. What is Epidermist 4.0? It is a MArine Exopolysaccharide secreted by a planktonic micro-organism from Aber Benoit. Sounds so science! Haha! This is their main singnature ingridient that does the magic to your skin! It helps to give your cell a full optimization renewal, helps to lighten scars & dark spots, helps to prevent from acne growth, smoothen back your skin and your pores will also look visible by time to time. This essence comes in a glass jar with a pump on top. Easy to use and all you need it about 1-2 drops of this and apply this all over your face or concentrate on the areas you want to treat. 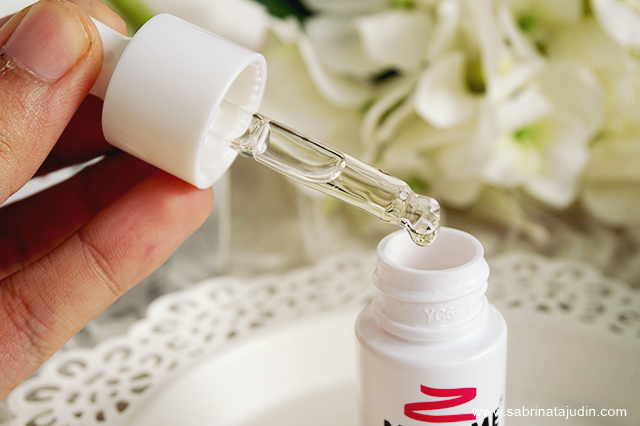 The texture of this essence are not too thick and not too watery. Just nice and absorb immediately to my skin. I like to apply this on the areas of my cheeks right after my cleansing routine as I want this to absorb first to my skin treating my acne scar. My thoughts and verdict. I have been trying this product for 5 days now and I can see a slight changes to my acne scars (dark spots). I don;t have a major acne scars on my skin but I do have a lot of dark spots. It is slightly reduce and I can see that this might help to visibly remove my dark spot by a continuous usage. I like the watery texture and it feels like apply water to my skin, massage it in and it absorb immediately. **So kepada sesiapa yang mencari product nak hilangkan parut jerawat, jeragat dan ada masalah dengan pori, boleh lah try product ni ya! Boleh digunakan bersama dengan product skincare yang korg sedia pakai. 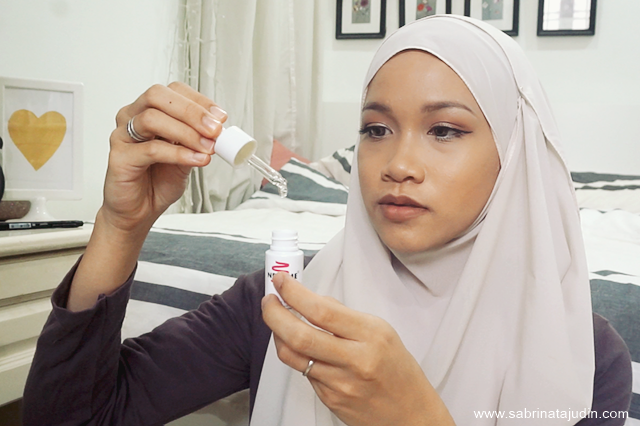 Sab suggest kan pakai ni selepas basuh muka and toner, sebelum pakai moisturizer korg. Oh ya, product ni diperbuat dari tumbuh-tumbuhan, tiada sebarang jenis extract binatang digunakan. So safe to use for Muslim ok! 1 for RM95 , 2 bottle RM160 . 3 bottles Rm220 . Free postage. Wahhh! TEMPTING NYAAAA... My current skin condition memang worst with the acne and dark spot.. Should I try this?? arghhh.. tempting! maybe you can give it a try! sbb dia mmg specific untuk acne scars treatment. you can use this along with your other skincare. Assalam. awak btul ke ok tUk hilangkan parut jerwat ? After pakai malaika oil jerawat non stop naIk. Sedih! Tp skrg jerawat makin kering. alhamdulillah. Tu pon sy just use ubat gigi saja. Now tgl bekas parut. 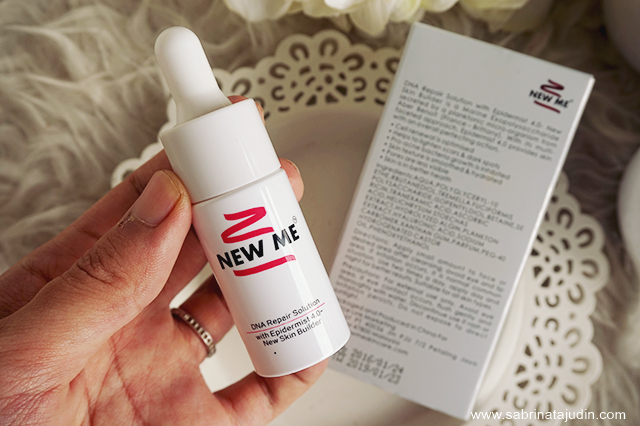 Kalau cuci muka saja tidak guna toner lepas tu guna produk new me skin blh tak?